Are you an aspiring entrepreneur looking to start a successful ecommerce business? Are you interested in running a business but have little or no capital and experience? Drop shipping business is a great starting point for budding entrepreneurs. This complete guide will give you insight into what drop shipping is and all you need to know to start and run a drop shipping business successfully. What is Drop shipping? Drop shipping is simply a retail business model that does not require keeping inventory. This means that as a retailer, you do not need to have your products in stock or keep inventory of products. You have the freedom to determine the price of your products and market it the way you deem fit but you don’t have to deal with logistics like a traditional retailer. The major difference between the drop shipping idea and the regular traditional retailing business is that you sell to your customers through a third party (who is either a drop shipping wholesaler, manufacturer or supplier). In drop shipping, you do not see or deal with the product at all. This means that once you make a sale, you send the order and payment to the third party who in turn ships directly to the customer - usually with your logo and contact address on the package. Your role in the drop shipping business also includes customer service. Any customer enquiries will be sent to you since the order was placed to you directly so you should have adequate knowledge or every product you stock. Drop shipping requires low capital, less time and less worries when compared to traditional retailing. This of course doesn’t mean it’s an easy business. It has its demands too. The drop shipping business model is quite straightforward. It involves three major players to make it work: the retailer (which is you), the customer and the third party. A drop shipping third party is a supplier, manufacturer or wholesaler. The third party is in charge of producing, storing, inventory keeping and shipping of products to customers on demand by you, the retailer. It is also the responsibility of the third party to replace defective products, and restock as required. The retailer on the other hand owns a store, a brand under which he sells the third party’s product. Retailer manages customer complaints and inquiries which are usually forwarded to the manufacturer to provide solutions. Finally, the customer’s role is in the buying of products directly from retailer. In drop shipping business model, the customer is totally unaware of the third party. The biggest advantage is in capital. Drop shipping business requires very little capital. The retailer incurs no costs on production, inventory, management of unsold products, packaging and definitely not shipping. Drop shipping business is a great opportunity for budding entrepreneurs who do not have a lot of money to invest. Secondly, the drop shipping business has a very low risk rate. This is a direct impact of the first advantage. Since there is little capital required, the risk involved is reduced to the barest minimum. In traditional retail business, a whole lot of risk is incurred investing capital and purchase of inventory unlike drop shipping where you only purchase after you have made a sale and received payment from the customer. Interestingly the retailer does not even need to see the product at all. Drop shipping is quite easy to run, since you do not need to produce, package or ship, you can start with nothing but a webstore. Also, drop shipping does not require a lot of time to set up and run. You may decide to work based on your own schedule. There are a lot of drop shippers who are students and nine-to-fivers who focus on drop shipping only in the evenings and weekends. However, you may want to reconsider the time invested when you start getting orders on a daily basis and have to process. Still, the processing of orders is automated and may only require just a click of a button which usually takes little time. Since you do not even have to bear the cost of returned or unsold products, there is also a considerable reduction in your overhead expenses. In addition, you do not have to spend time on shipping and delivery. Logistics is the sole responsibility of the third party. Again, drop shipping business model allows for a great deal of flexibility. You can work online from home or anywhere as long as there is an internet connection. All you need is a stable communication line with the third party and customer to successfully run your e-commerce business. A retailer can also decide to deal in several products or brands since there is no need for pre-purchasing. You can market a wide range of products to your customers without incurring any additional cost. All that is required is to make sure whatever products you are selling is available with the third party at the time of purchase. Drop shipping isn’t a walk in the park, it has its disadvantages too, just like any other money-making business venture. Due to the highly competitive nature of the drop shipping business, the profit margin is usually very low. A lot of retailers will offer to sell products at ridiculously low prices in order to increase sales and revenue. Afterall, they hardly spent a dime starting the business and so there is no capital to recover. Some retailers do not even bother having an interactive or functional webstore since the impact of these on sale is not as strong in comparison to low prices. This unfortunately leads to a very minimal margin for all retailers generally. However, one way to reduce the effect of low margin is to carefully choose a profitable niche that is perfect for the drop shipping business model and concentrate on marketing. There could also be issues with drop shipping when you deal with a large number of third parties. This applies to dropshippers who sell a large variety of products. 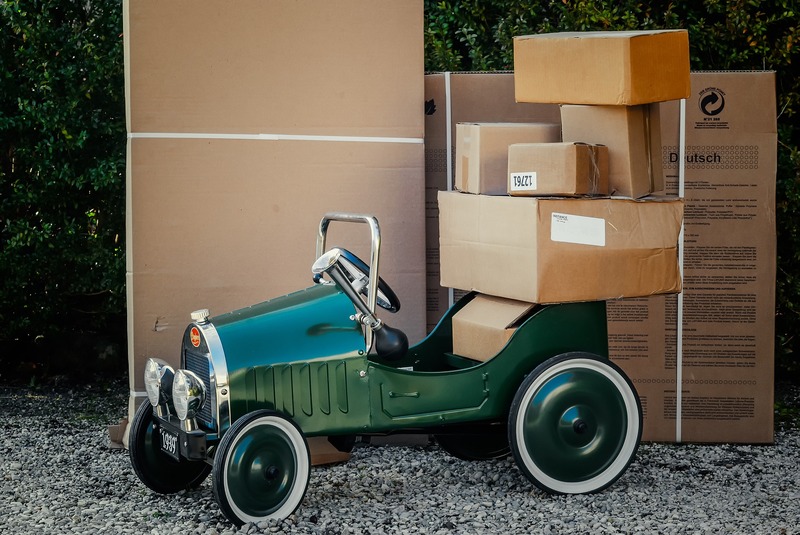 Shipping complications are inevitable when a retailer needs to ship different products from different manufacturers to the same or different customers. This may also sometimes increase overhead costs. For instance, if a customer orders five different products produced by different third parties, then the retailer will incur five different costs by the same customer and will still be required to keep up with all those orders. In addition, returns and refunds, long shipping periods and unreliable manufacturers may result in some trouble for the retailer. Product complexities occur when you are unable to get information on inventory changes from your suppliers. However, there are ways a retailer can synthesize stock inventory with third parties although these ways are not always effective and sometimes not supported by the manufacturer. When a third party drop shipper makes an error such as incomplete, wrong or damaged products, the retailer automatically takes the blame since the customer relates with and complains to them directly. Also, because the retailer does not keep inventory, it is quite difficult to keep track of stock. You hardly have an idea which product is in stock and which is not especially when you are dealing with multiple drop shipping suppliers. It is therefore essential as a retailer to carefully select a supplier who understands you are into the drop shipping business and is consistent with delivery. Certainly, drop shipping business is not super easy or stress free. However, with some effort and commitment to mitigating these risks, it could bring a lot of revenue. Running a drop shipping business is one the best ways to generate income online and become a successful entrepreneur. With platforms such like Amazon, e-bay, Shopify and a host of others that support drop shipping, it has become evident that anyone with little or no experience can successfully launch their own online store with very low capital. Due to this and other advantages attached to the drop shipping business, the market has become highly competitive. Still, there is room to operate and make good profit even as a starter. Here is a step by step procedure you can follow to start your own drop shipping business and make a living out of it. Finding the right product to sell is the first decision you need to make as a drop shipping entrepreneur. How do you generate the best drop shipping product idea? Generating ideas and choosing a niche requires some level of creativity and concentration. Sometimes ideas will pop in your head at random, you need to be able to write these down, research and mull over them to choose which will most likely be profitable. It is absolutely fine to have over ten ideas in your list when you are done. There are a lot of factors to consider when choosing a product niche. These include passion, find a product you have passion for. More importantly, ensure that you select a niche that is profitable. In summary, consider passion and profit. You can use google trends, research on social media or simply visit a standard shopping mall to find products that are trending within niches. Note that a niche in itself is not necessarily a trend and the entire components may not be profitable. For instance, if your chosen niche is clothing, a trending product within that niche could be athleisure. Once you’ve decided on the product (s) you want to sell, the next important step is to choose a third party, a drop shipping wholesaler, supplier or manufacturer that is reliable. You can find a supplier online or even in your neighborhood. You can also choose from the list of Trendosaur Suppliers. These suppliers have the advantage of experience on how to deal with drop shipping retailers. They are experienced and are well informed that you are drop shipper and not a traditional retailer so they treat you as such and make the whole process easier. Once you have found a suitable third party, what you need to do next is set up your webstore. Setting up your online store will involve creating a drop shipping account and managing arrangements with your supplier. A number of ecommerce platforms are available for you to set up your drop shipping account, you can use Shopify, e-bay, Amazon. You can even set up a Facebook store or sell on your Instagram page for free. You can find a drop shipping business for sale if you do not want to go through the trouble of creating one from the scratch. Exchange is a popular place for retailers to find existing webstores to buy. You can scroll through different prices and niches to find which ones are in tune with your needs. The only way you can ensure both long- and short-term success of your new drop shipping business is by concentrating on marketing. This is not to say that customer service and a functioning webstore are not important but marketing is what will get you the most sales. Marketing with all you’ve got is a crucial step to building a successful drop shipping business. For beginners with very tight budget, try out Facebook advertising. Influencer marketing is also a good way to market especially for a beginner. Offer influencers an affiliate commission and pay an affiliate fee for every sale. Now it’s time to sell your first products. Once you have done all the above correctly, you begin to get leads and have higher chances of finding buyers. Your first sale comes when a customer orders a product and pays for it. Instant payments such as Alipay and Paypal are highly recommended for drop shipping business. They allow a faster method of transaction and increases the speed at which you can place the order and get the product shipped to the customer in time. Always follow up on the sale of products. It is unprofessional and bad for your business and brand if you place a customer’s order and simply forget about it. Not following up is where most newbies in the drop shipping business fail and lose their market before they’ve even started. Inform your customers that their order is been attended to and their items are on the way. Always be open to your customers. Let them know they can contact you with any complaints or enquiries personally. You’ve been armed with enough information to successfully start and run your own drop shipping business. However, there are important things you should note. The third party you choose is very crucial to the smooth running of your drop shipping business. An ideal supplier should be one who is reliable, timely, consistent and can keep up with orders without delay. Also, a supplier that produces substandard or faulty products is not one you want to pitch your tent with. Request feedback from your customers on the products you sell as well as your services so you know where to improve. Ensure that you choose suppliers who always have their products in stock, you do not want to place an order then realize the goods are out of stock. Choose a supplier who can provide you adequate support to respond to customer complaints and enquiries. Remember that learning is continuous and the best time to start is now.